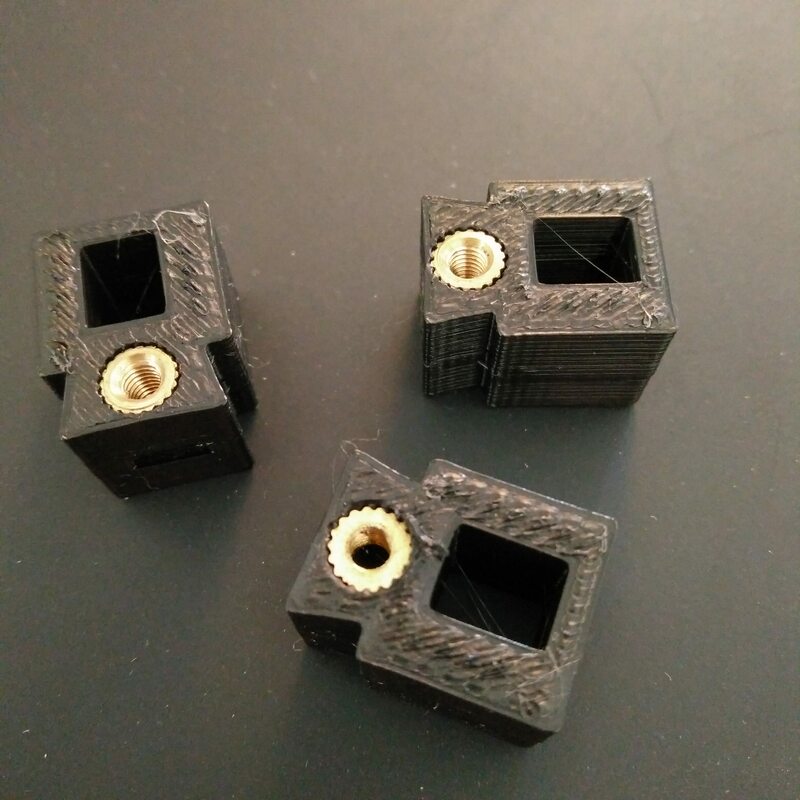 So I'm putting together the printer now with the new parts, as well as other color replacements for black and I've reached the carriages and I can't quite figure out the best method for tightening the belts.. Do you start with the bottom and wedge the belt in there, then loop it around and do the top? so me that is what would make the most sense. Installing the little nut into the carriage tensioners was driving me crazy. Cleaning out the little slot so that the fastener would fit in was next to impossible, and jamming the fastener in only to have it get stuck 9/10ths of the way is infuriating. As with most of my moments of clarity, I realized I had solved the same problem years ago and simply forgot about it. I dug out some M3 threaded inserts, drilled out the tensioner for them and melted them in. Problem solved. Last edited by W3DRK on Thu Nov 16, 2017 8:54 am, edited 1 time in total. Using some anti-seize can make the captured nuts more workable. a little CA adhesive carefully applied so it doesn't get into the threads also can help.